Ulster University’s End of Year shows celebrate the creative talents of our students. Ulster University is encouraging people from across Northern Ireland to come and celebrate the outstanding work of graduating students and Ulster University’s leading role in fostering creative excellence, participation and innovation. Ulster University’s End of Year shows celebrate the creative talents of our students in Cinematic Arts, Music, Drama and Design and also Media, Film and Journalism. With performances, film screenings, exhibitions, installations, photo imaging and interactive media work from graduate students from the School of Creative Arts and Technologies and also the School of Media, Film and Journalism, Ulster University’s End of Year Shows promise to be a flagship event.. Starting from Wednesday 17th May and running until Friday 23rd June, the shows are open to the public and will take place in venues across Derry~Londonderry and Coleraine. Join us for the last contemporary dance performance from Ulster University’s BA Hons Dance students entitled DUST. Over 90 students will launch their careers by showcasing their short films, photo imaging and interactive media work. They will also exhibit the work they undertook with charities nationwide to re-design their branding. Guests include Helen Thompson, Head of Talent, BBC NI and Anthony Newman, president of Causeway Chamber of Commerce. Short films will be shown daily from 13:00 to 14:00 in the iBlock Atrium. 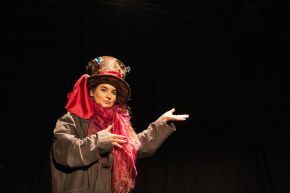 The annual end of year showcase for Drama celebrates the best of work by our final year students with a selection of performances and research presentations and this year Northern Irish actress Susan Lynch is guest speaker. 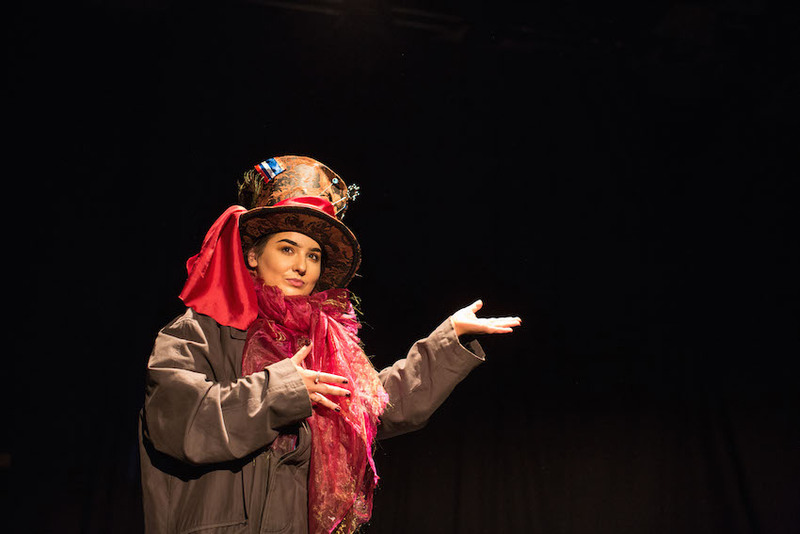 Work across modules as diverse as storytelling and performance, Irish theatre, theatre for young audiences and arts and health will feature alongside student-led projects as part of the Independent Project module. This range of work displays the excellence of the creativity and scholarship of the students in Drama. In the stunning acoustics of the neo-gothic Christ Church, this year’s final-year Music students will showcase the vocal and instrumental fruits of their labours in a variety of styles. The show starts with guest speaker and performer Cara Dillon. Our final showcase of student talents will ring in the natural church acoustics of An tSeanegalais (The Glassworks), the former 19th century Georgian Church building. This will be a special evening of celebration, sharing the fruits of our final-year students work during their 3 year undergraduate performance study. This inaugural End of Year Degree show celebrates the achievements and talents of final year students on the BSc (Hons) Cinematic Arts programme at the School of Creative Arts and Technologies. Graduates from the North West step out into the professional world of design with their annual and penultimate showcase of new talent. As ever, this eclectic group of creative thinkers demonstrate their unique diversity with encompasses animation, graphics, interaction design, film, 3D digital content, product and the interplay therein. The opening night is a great opportunity for employers to be the first to meet the next generation of commercial designers and for the public to experience what good design is all about. Come and join the celebrations. Come and see exciting, unexpected and innovative work made by our students in dynamic studios in the heart of the Cathedral Quarter. View the work of future creative leaders in: Contemporary Applied Arts: ceramics, jewellery and silversmithing; Animation; Interaction Design; Graphic Design and Illustration; Photography; Fine Art: painting, printmaking, drawing, sculpture, time-based art, performance, digital media, video; Textile Art, Design and Fashion… and more.